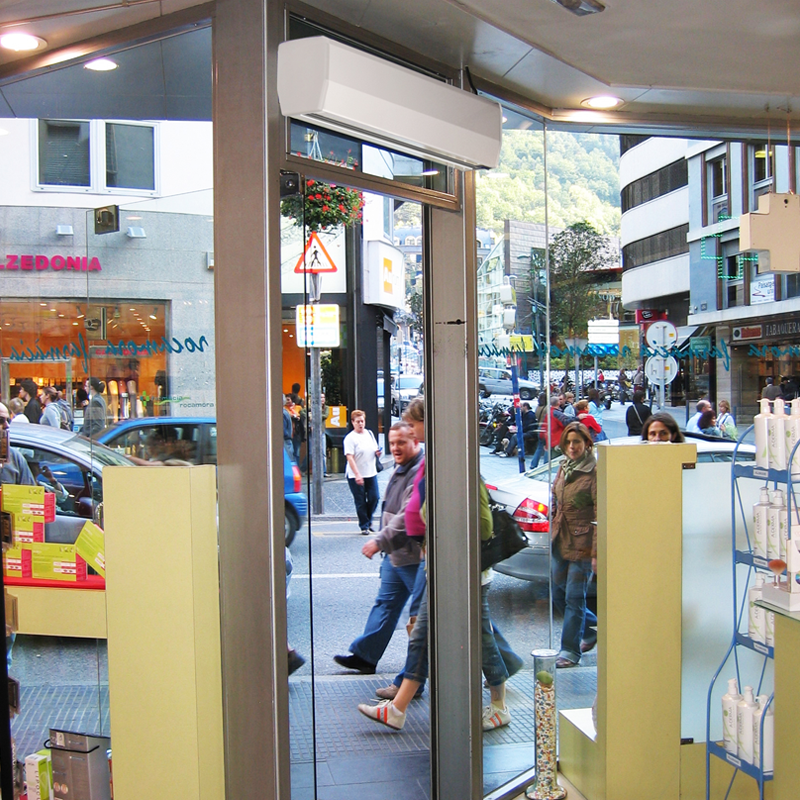 Air curtain for use in kiosks, cash boxes, quick service bars, small shops and restaurants and premises with closed entrance doors or automatic doors in the event of low traffic. – Self-supporting housing made of galvanized steel sheet coated with a white RAL 9016 plastic coating. 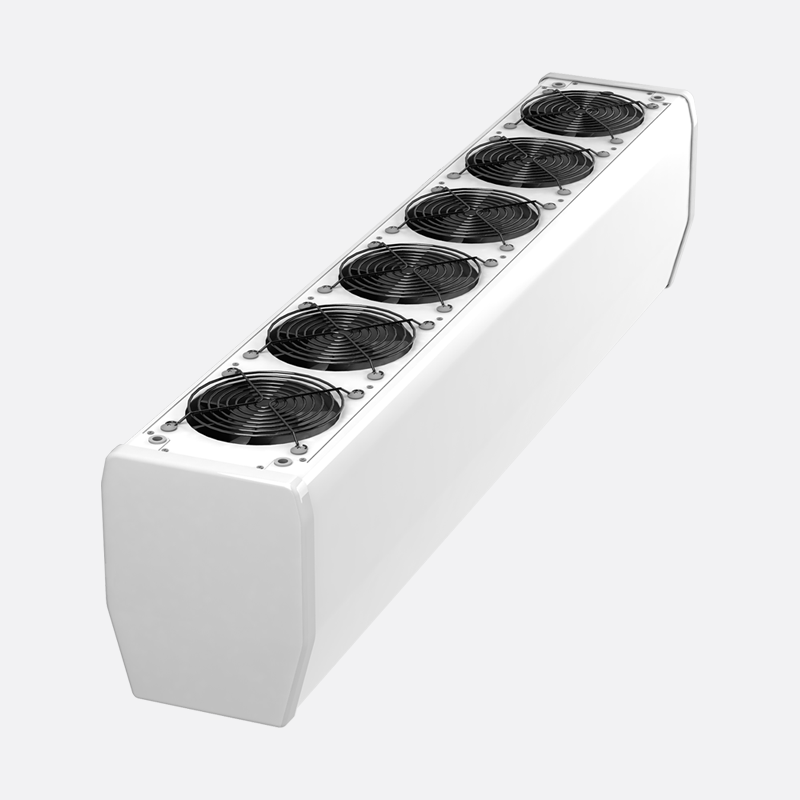 – Silent, compact axial fans. – Adjustable outlet nozzle made of anodized aluminum profiles. 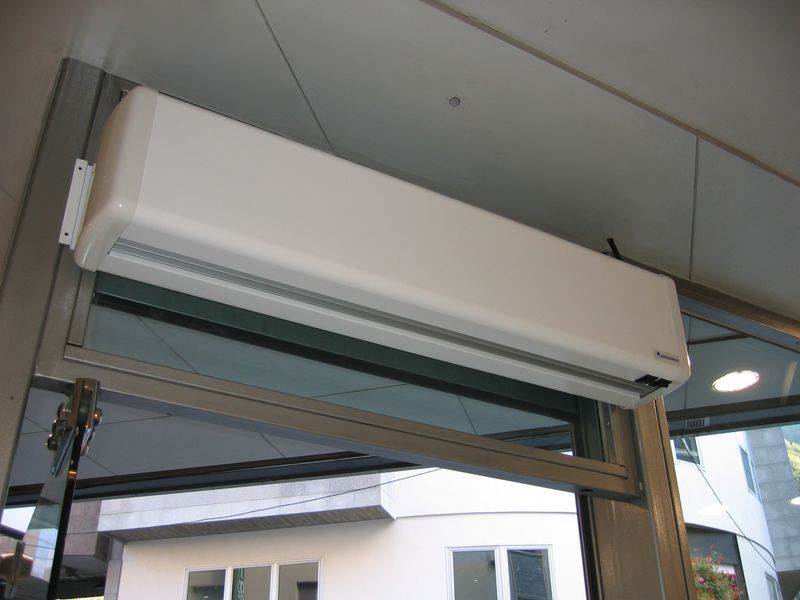 – Built-in regulators of air efficiency and heating power. 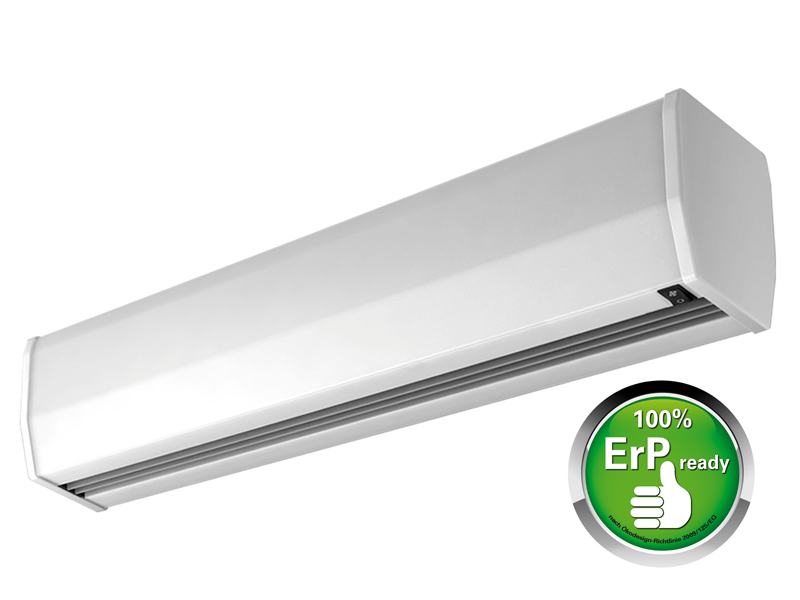 – “E” – contains electric heater. – “A” – curtain without heater (“cold”). 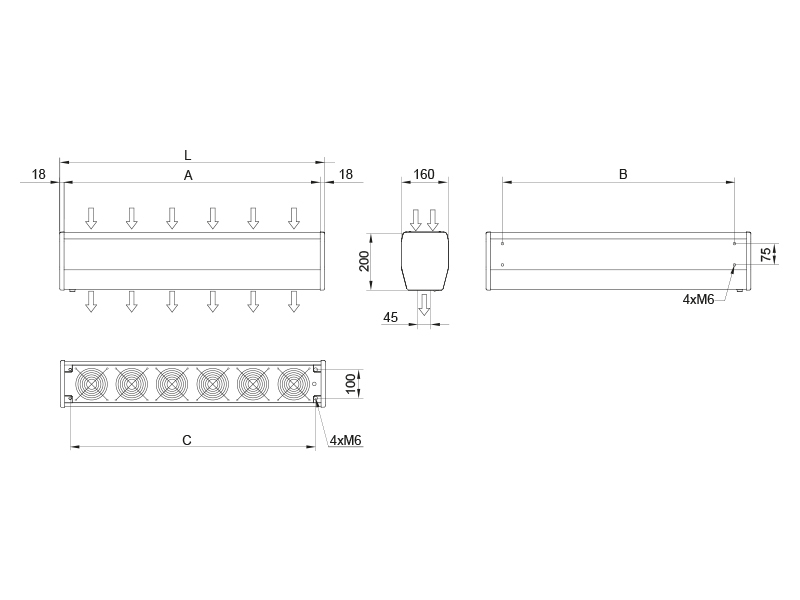 – 1.5 m long power cable. – SPT1 wall mounting brackets (2 pcs).